You'll look like an idiot, though. We're not talking about your usual beauty face mask. Japanese brand Hourei has invented a contraption that gives users an instant face lift, sans the surgery. It's called the lift bra (about $40), a headgear that sits on top of your nose—gradually pulling your cheeks upwards. 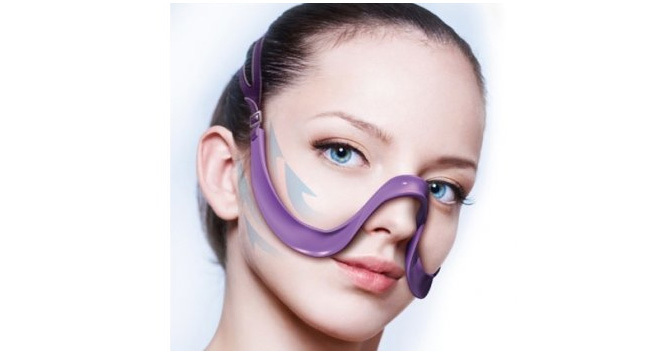 It looks awfully uncomfortable, but the face bra reportedly smoothens out wrinkles by stretching your facial skin. According to the Japan Trend Shop (which sells the weirdest beauty inventions EVER), the bra isn't as painful as it looks, since it's made out of silicone and rubber—which won't put pressure on your face. You'll look crazy stupid, and we think this is something you should try when you're alone in your room. As for us, we're sticking to our regular DIY beauty masks, but surely a little facial exercise wouldn't hurt anyone. Would you try the face bra?